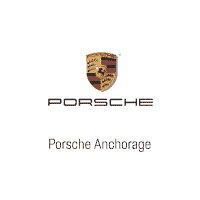 Thank you for taking the time to visit with us here in the Finance Department at Porsche Anchorage, your foremost Anchorage auto loan, used car financing, and Porsche lease resource for new Porsche cars and pre-owned cars. Our caring and experienced team of finance professionals strives daily to bring you the finest in personalized customer service while securing Porsche car loans and leases. In addition, Porsche Anchorage will buy your used vehicle and give you a fair trade-in value in return. Find out the true market value of your current vehicle and get the opportunity for a no-obligation car appraisal by filling out our simple online trade-in value form. Then you will be provided with enough information to make an informed decision about selling your used car to Porsche Anchorage or to another party. Once you find your Porsche, check out our online car loan calculator and get an estimate of your future loan payment. Then head on over to our online finance application and apply for an Anchorage auto loan. It’s fast, easy, and convenient! From start to finish, our Porsche Finance Department is dedicated to serving you and getting you into the Porsche car or SUV of your choice. We look forward to working with you soon and thank you for stopping by!